The Mental Health Ministries DVD, Stories of Healing and Hope: PTSD, Trauma and Suicide, includes three shows: Out of the Ashes: Transforming Trauma, PTSD: Healing and Hope and Suicide and Healing After the Death of a Loved One. The show, Suicide: Healing After the Death of a Loved One features an inspirational couple who lost their son to suicide. They share the story of how their faith community supported them and how they have used their painful experience to reach out to others. 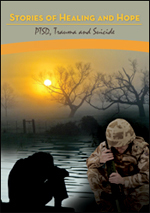 This DVD is available on the Mental Health Ministries website. 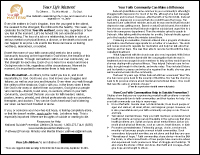 Click here to see a flyer with details on this resource and information on how to order. According to some studies, depression afflicts between 6% and 12% of American high school students. Depression in children and adolescents is easily missed unless parents, teachers, and medical personnel recognize its signs and symptoms. Without the ability to recognize these symptoms, the first inkling a parent may have of the severity of a child's illness is the tragedy of a completed suicide. Families and professionals review symptoms and recommend appropriate actions to take when it is suspected that a child or adolescent is at risk. The full show is available on the Mental Health Ministries DVD set, Mental Illness and Families of Faith: How Congregations Can Respond. A short clip excerpted from the complete show is on You Tube. This series of short videos, produced by Interfaith Network on Mental Illness (INMI) Caring Clergy Project, is written specifically for clergy and staff of faith communities. Learn how to recognize risk factors and warning signs of suicide, how to tell if a person is considering suicide and how to respond if you discover they are. You'll also learn how to respond to families after a suicide and how to plan a memorial service for someone who has died by suicide. 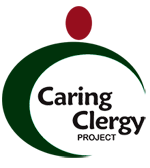 View these videos on You Tube on the Caring Clergy Project website. In this video, we discuss the warning signs and risk factors for suicide that you, as a member of the clergy, may notice in congregants who come to you for counseling. In this video, we talk about how you ask someone if they are having thoughts of suicide. In this video, we will talk about how to intervene with a suicidal person with CARE, steps to take when the individual needs help beyond what you alone can provide and some basic do’s and don’t’s. We will also offers tips on how to offer spiritual resources. In this video we will discuss the grief experience of family members of a person who has died by suicide and offers some do’s and don’t’s for reaching out to them. We’ll also talk briefly about appropriate language to use when discussing suicides. This video offers some ideas for designing a funeral or memorial service for someone who has died by suicide. It also includes a list of do’s and don’t’s for reducing the chance of suicide contagion. A memorial service, no matter how the person died, should be a time for healing and remembrance. It is not a time for judging. 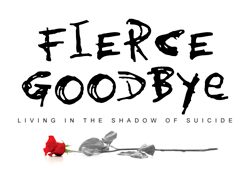 Fierce Goodbye: Living in the Shadow of Suicide is a documentary produced by Mennonite Media in 2004, www.fiercegoodbye.com. In this video, family members reveal their intimate stories and aching pain to assist other survivors to help the broader community understand the unique and terrible grief of suicide. This documentary explores Protestant, Catholic, Jewish and Greek Orthodox responses to suicide. Judy Collins is the narrator and Dr. Kay Redfield Jamison is one of the persons interviewed. There is a study guide and other helps for faith leaders available. Death by suicide or died by suicide are preferred phrases that can offer comfort and provide support for healing. Committed suicide and completed suicide imply a negative judgment or a criminal offence, while successful suicide implies accomplishment. Suicide survivor can refer to those who have experienced their own suicidality or those who are bereaved by suicide. The purpose of this guidebook is to prepare leaders of faith communities to prevent, intervene and respond to the tragedy of suicide. The concept for this guidebook grew out of an increasing understanding that suicide affects a significant number of people in all walks of life and that people often turn to their faith communities in times of crisis. Knowing how to respond in the moment of a suicidal crisis can be an anxiety-provoking experience. We hope to provide a guide to help alleviate this anxiety by providing knowledge, preparation and support within the context of a community. 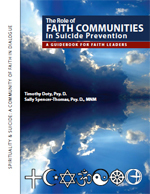 The Role of Faith Communities in Suicide Prevention: A Guidebook for Faith Leaders is a product of a publication of the Carson J Spencer Foundation with support from Regis University and Jefferson Unitarian Church. The authors give permission for appendices at the end of the book to be copied and used freely by the readers in their faith community settings. Due to the Muslim community’s stigma around mental health, there is a lack of Muslim-specific research. To help educate imams (and other faith leaders), teachers and parents, The Muslim Mental Health website offers excellent resource on Suicide Prevention. A student suicide has a tremendous impact on the entire school as well as the broader community. School administrators, faculty, and staff are called on to provide leadership and strength to students and their families, even though they themselves may be shaken emotionally and unsure of the proper actions to take. They will be grappling with issues such as immediate crisis response, helping students and parents cope, and communicating with the school and wider community, as well as the media. 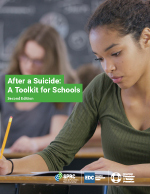 After a Suicide: A Toolkit for Schools, developed by the American Foundation for Suicide Prevention and the Suicide Prevention Resource Center, is a valuable guide to help school personnel prepare for the tumultuous and stressful aftermath of a student suicide and to help prevent future tragedies. 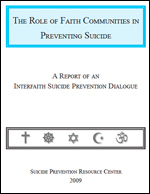 The Role of Faith Communities in Preventing Suicide: A Report of an Interfaith Suicide Prevention Dialogue is the report from the Interfaith Suicide Prevention Dialogue convened by the Suicide Prevention Resource Center in 2008. 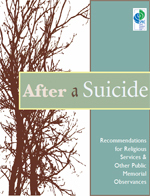 It contains ideas for engaging faith communities in suicide prevention and developing interfaith suicide prevention initiatives, as well as the perspectives on suicide of five major religions practiced in the United States…Judaism, Islam, Hinduism, Buddhism and Christianity. The report addresses the common themes among these religions. The section on Christianity looks specifically at The Black Christian Church, the Catholic Church, The Church of Jesus Christ of Latter-day Saints, The Evangelical Lutheran Church in America (ELCA) and The United Methodist Church. 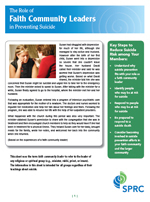 We know that faith communities can be a valuable resource in helping to increase public awareness about suicide and how to reduce the number of persons who take their life each year. 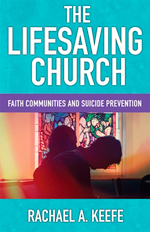 This PDF file, from the Suicide Prevention Resource Center (SPRC), provides helpful resources and other information to address suicide prevention as a faith community leader. 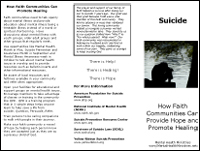 This brief guide was created by the Suicide Prevention Resource Center to aid faith community leaders and other community leaders. It provides background information, suggests ways to care for and support survivors, and offers recommendations for planning a memorial observance. 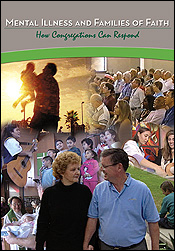 This Ministry was organized to answer all these questions and to be an "e-resource" for anyone who is feeling suicidal, anyone who has lost someone to suicide, and to communities and faith-based congregations who want to educate their members on risks of suicide, how to help, and how to support those with mental health issues in a caring, compassionate way. 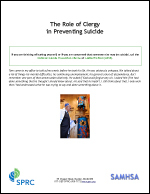 Strategy for Suicide Prevention have partnered on a valuable resource for clergy, The Role of Clergy in Preventing Suicide. They identified the clergy as "key gatekeepers" — people who regularly come into contact with individuals or families in suicidal distress. This guide offers details about caring for such individuals and walking the fine line between spiritual support and mental health counseling. It also has a list of helpful references and resources. Faith.Hope.Life. is an opportunity for every faith community in the United States, regardless of creed, to focus one Sabbath each year on the characteristics common to most faiths that also help prevent suicides. Their resources offer very practical ways faith leaders and faith communities can help prevent suicides, whether locally, state-wide, or nationally. Depression and related illnesses threaten to wreck the lives of many teens and their families. Suicide driven by these illnesses is one of the top killers of young people. How do teens become depressed? What does depression feel like? How can we identify it? What helps depressed teens? What hurts them? How do families cope with teen depression? 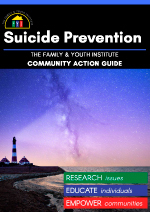 This book provides information and case examples on assessing suicide risk, dealing with suicidal behavioral and attempts, and responding to suicide deaths. It is most useful for faith community leaders who have training and experience in mental health counseling. This book is available on Amazon. Is your church prepared to save lives? Every year, millions of people engage in suicidal activity, yet the Church remains largely silent around mental health and suicide prevention. Pastor and suicide survivor Rachael Keefe shares her own personal story of lifelong depression, eating disorders, and suicidality to equip congregations to recognize and respond to those suffering silently in the pew. Memoir, theological reflection, and action guide combined, each chapter concludes with a "What Your Congregation Can Do Now" section to get you started building a community of abundant life for all. A video with more information about the book is available on YouTube. A study guide to accompany the book is available here. Book available at Chalice Press. In the aftermath of three suicides in his community over a relatively short period, Fe Anam Avis co-founded the Community Response Team and discovered his life's purpose in the area of suicide prevention. 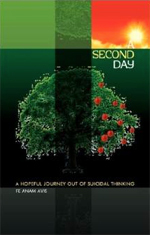 In A SECOND DAY: A HOPEFUL JOURNEY OUT OF SUICIDAL THINKING the author asserts that suicide is a community problem that can only be addressed by the community. "A central theme of this book that threads through every chapter is that suicidal thinking is often a response to a benighted Soul, struggling to find authentic expression in communities that are hostile or indifferent to its existence. The Soul has a voice that will not be denied and a wisdom that is sound. As we begin to give dignity to that wisdom, we can redirect the suicidal impulse to its more constructive purpose: transformation." This book is available on Amazon. More than 36,000 people in the United States die by suicide every year. It is this country's 10th leading cause of death, and is often characterized as a response to a single event or set of circumstances. However, unlike these popular conceptions, suicide is a much more involved phenomenon. The factors that contribute to any particular suicide are diverse and complex, so our efforts to understand it must incorporate many approaches. Faith communities need to talk openly about suicide and provide education about mental illness being a treatable illness instead of a moral or spiritual shortcoming. 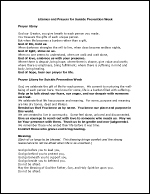 This document includes a Prayer Litany, a Prayer Litany for Suicide Prevention Week, a Blessing to bring comfort and the strong reassurance to not be afraid when life is so uncertain, and a Prayer for Someone Contemplating Suicide. Every life matters in God’s kingdom, from the youngest to the oldest, the weakest to the strongest, the infirmed to the healthy. This week, we celebrate the fact that Your life matters!, every day, regardless of how you feel at the moment. The Action Alliance for Suicide Prevention “Your Life Matters” campaign has put together a comprehensive website for faith leaders from different traditions for use during National Suicide Prevention Month. But the worship and spiritual resources on the website can be used at any time throughout the year including after a suicide or suicide attempt. The worship and spiritual resources offered promote the themes of life, hope, reasons for living, and connectedness, which are central to the campaign and to preventing suicide.